Megan Graduated Northern Illinois University College of Law in 2015. She earned her Bachelors Degree from Ripon College in 2012. She was admitted to the Wisconsin Bar in 2016. Megan strives to be available, friendly, and honest with her clients. 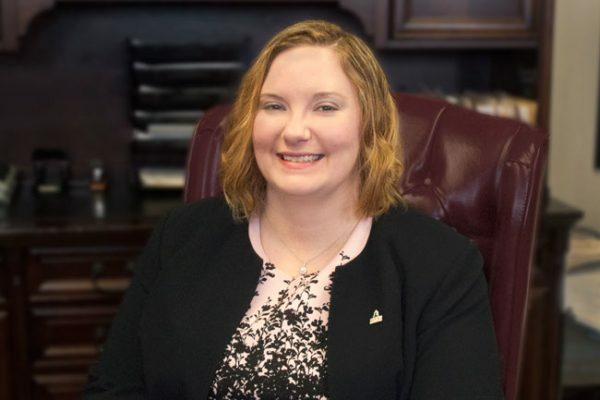 The connections she has made with local organizations help her provide unique legal services and referrals. She opened her own practice because she truly wants to help people. To that end she works with clients to provide affordable representation. Megan is now married, and her name changed to Megan McGee Norris. She lives in Kenosha, WI with her husband, a life-long Kenosha resident. She has a new baby boy, who keeps everyone on their toes. She also has two rescue dogs (1 Pitbull 1 Yorkie). Megan is a board member of Wish Upon A Rescue a foster-based rescue in the Suburbs outside of Chicago. Megan volunteers once a month with the Urban Outreach Center – providing legal advice to those who need it most.